Greetings men and women of Steem, parishioners of the SteemChurch and allies. 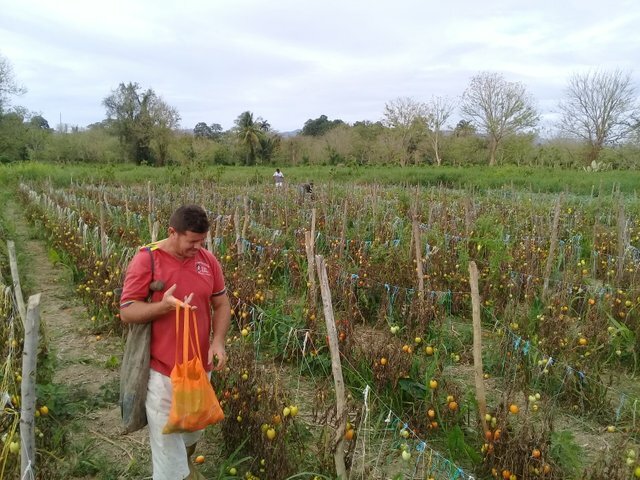 This weekend was very rewarding, the time to harvest what we started 4 months ago arrived. I have seen the work that God has given to the children of men to be engaged in him. and he has put eternity in their hearts, without man being able to understand the work that God has done from beginning to end. And payments to weed and prepare the land. 2 Ask farmers for a percentage of the harvest to invest money in medicines and help soup kitchens that feed the needy. 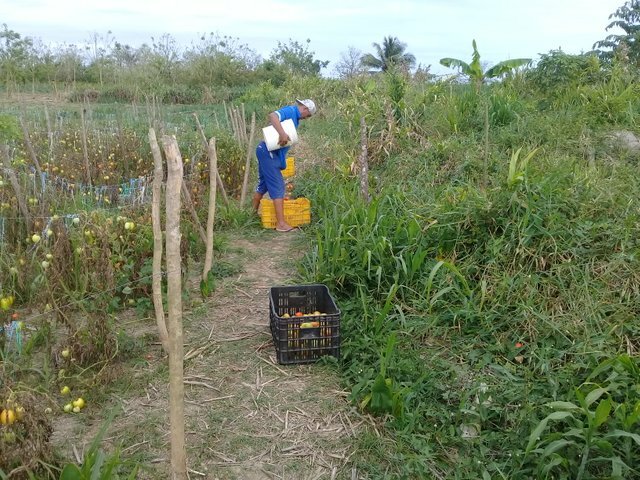 Some climate agents, the lack of inputs in Venezuela, among other factors, delayed the harvest by one month. 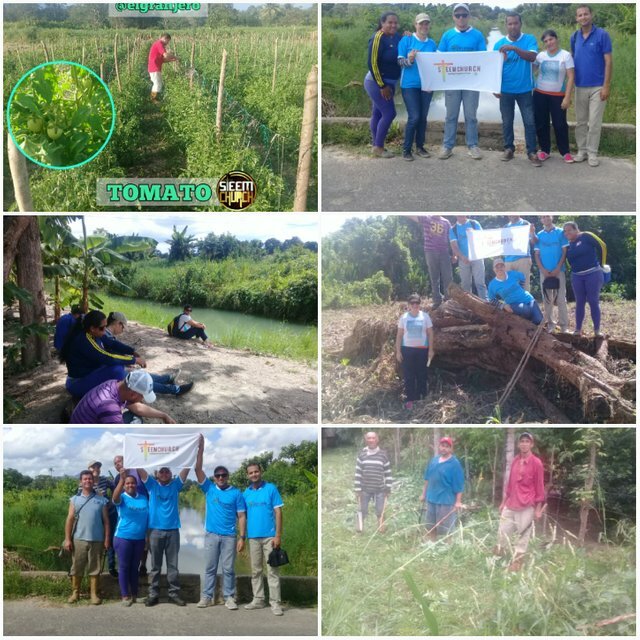 However, the important thing was to complete the project and see the joy of these humble men pick the fruit of mother earth. 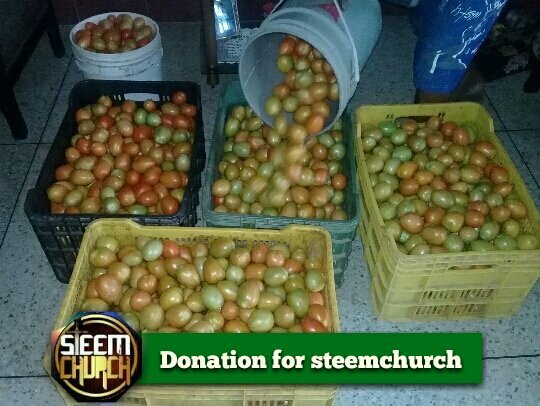 We thank the farmers for the donation of 100 kilograms of tomatoes as a way of thanking the community of @steemchurch, @sirknight and all the team that contributed parts of their steem to make this project possible. They are happy to continue supporting us in the crusade for the line. We also harvested part of the maize that was donated to steemchurch, although it was not the result we expected, the lack of rain affected the overall growth. But we thank God for this cultivation that will be very helpful. 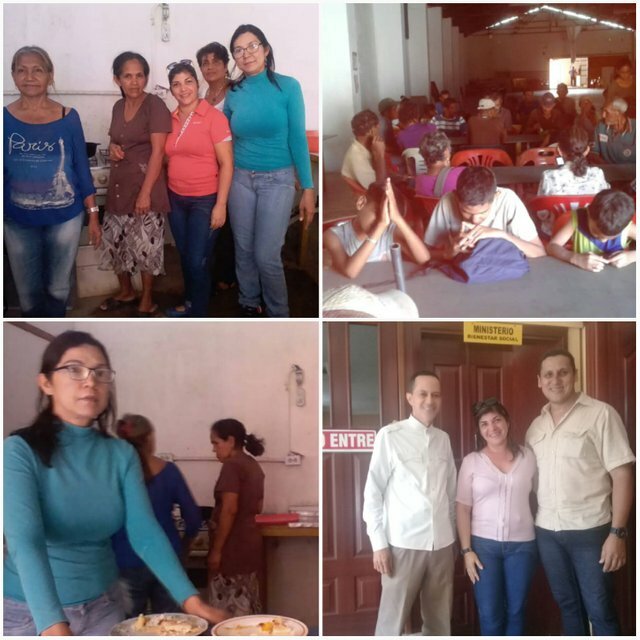 With reasons for the economic crisis that Venezuela is going through and poorly administered poor countries, many Christian Churches are doing a great job in this Country feeding the hungry. We will be supporting and donating food to the churches that are working in the east of the country because it is one of the states with the greatest poverty. Sister @lorennys and @bertha1, have been working silently with the Church the Good Shepherd, who have initiated a protectorate of multiple aids, among them: the feeding of the poor, medical and legal assistance. 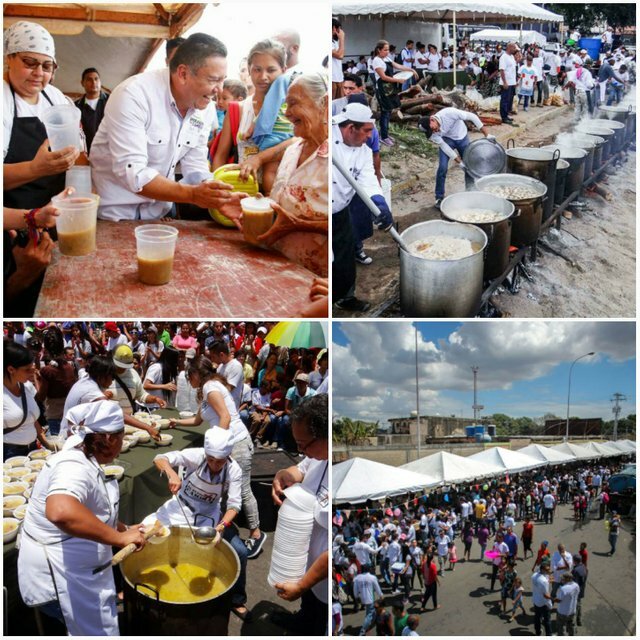 Eat three meals in Venezuela a day, is equivalent in price to more than the salary earned by a worker for a month. 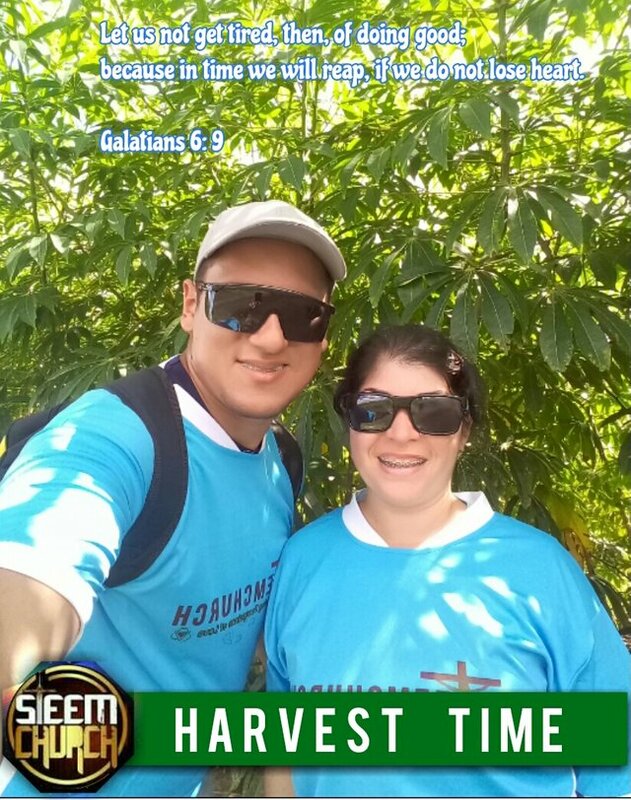 For this reason, SteemChurch joins the noble causes of the churches and will continue the cultivation project with the farmers, in order to support social actions throughout Venezuela and where it is needed. 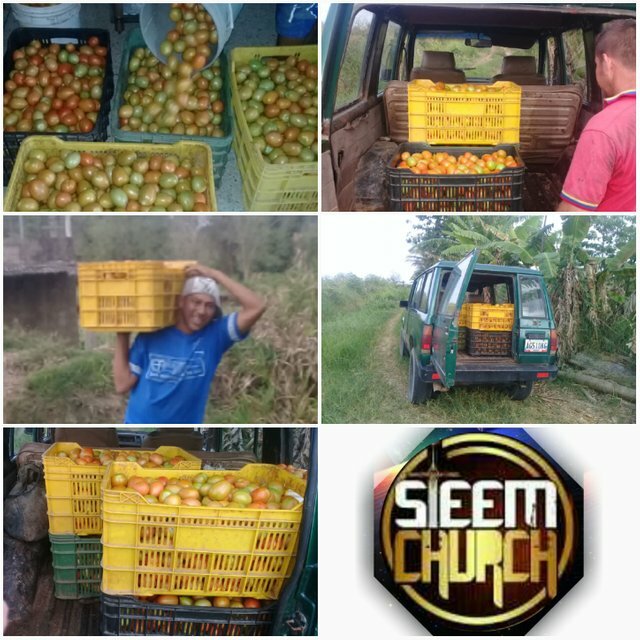 In the name of all steemchurch we give thanks to God for allowing this beautiful harvest to come to a happy end. Thanks to @elgranjero, @sirknight, @sniffnscurry, to all the steemchurch boys who helped us. Amen and Thanks dear @farms. Thank you also for all the agricultural knowledge that you offer in the Church. Wonderful. What the SteemChurch is achieving is truly wonderful. This just starts SK, we always hope for the best. thank you very much for so much! This is why its such a joy to support steemchurch and am in awe of all the hardwork that was put in and the results. 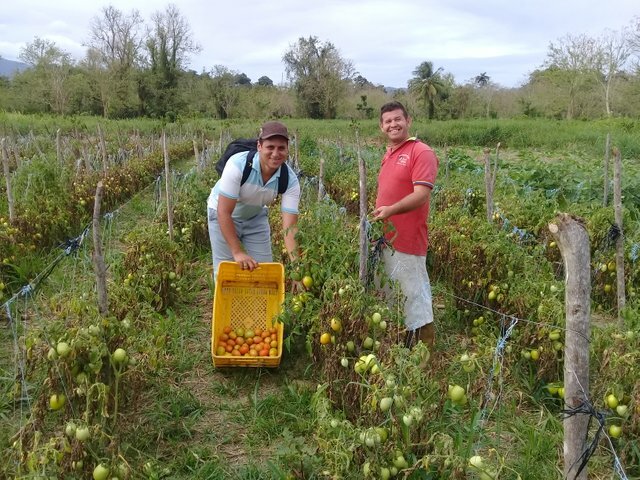 Thanks for sharing this wonderful update and praying for a loaves and fishes type event all over again that millions are able to be blessed with the food that was harvested. @gniksivart, these 8 hectares of land are promising. Steemchurch is the ideal community, the ideal project supporter. We simply love your work. Simply follows the footsteps of Christ! Very mucha thanks you Maxdevalue! Great, thanks for the mention! It was an exceptional day, congratulations to steemchurch and to all those who worked to complete this project .. it is a beautiful harvest. God bless you CEO and @Lorennys. This is an amazing harvest. Let us nit be weary in well doing, for in due time we will be rewarded if we faint not. It was worth the effort, I regret not having gone this time, God continue to bless steemchurch, maybe we are not in the best country to make investments, but planting is always profitable and with it helps the needy. What man sows, that will reap. We will come rejoicing, bringing in the sheaves! Thanks E, good bible verse! Have now good to bless the house of your servant, so that it may remain perpetually before you, because you, Jehovah God, have said it, and with your blessing the house of your servant will be blessed forever. Great work @Emiliocabrera and @lorennys. It is a good thing that you are championing this course. A good example for all parishioners of @Steemchurch.